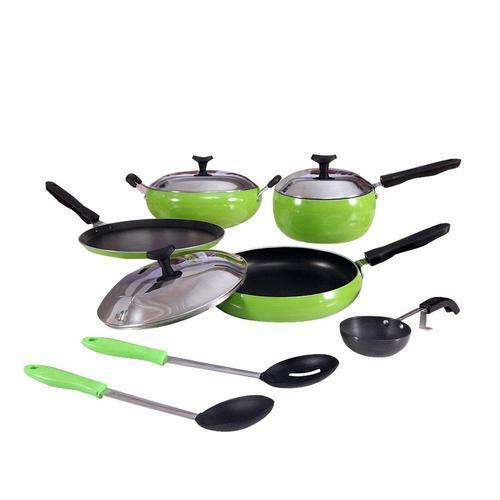 We are the leading manufacturer brand Non-stickCookware Gift Set. Our products are durable and sturdy. It is coated using graded raw material to prevent food from sticking to vessel. They are attractively designed with a glossy finish. They can withstand resistance and heat quickly, thereby saving energy. They are ideal for gifting purpose on any occasion. These are available at market leading rates.